Choose Life Now is a Christ-centered support and learning center to come along-side women and men who want to submit their bodies to Christ and develop a lifestyle of health. We are inviting you to make a shift in your life that leaves poor health, cravings, and fatigue behind and leads you to more energy, greater confidence, and a lifestyle of health and well-being. Each week Susan Gregory will host a live group coaching that member attend over the Internet! All the calls are recorded for replays if you can’t make the call! You’ll learn how to tap into your faith so it can become the driving force for the changes you want for yourself. Draw nearer to God as you begin the joyful journey. The Make a Shift Live Group Coaching calls will all be recorded for replay at your convenience. Access via computer or telephone. Instructions will be sent to all members. Calls are live on Saturdays at 8:30 a.m. Pacific Time and last for about one hour. The teaching time is followed by a Q&A session so you can interact directly with Susan. Dates and Times are subject to change if unexpected travel or events come up. You will be notified in advance. 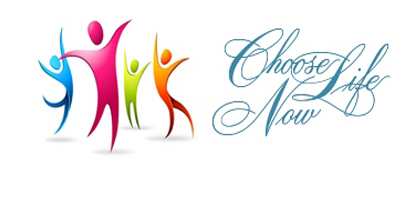 New Members have immediate access to all the programs within Choose Life Now (click here). Begin your journey as soon as you like and then receive the added motivation and support from Susan during the Make a Shift weekly live group coaching calls. * 7 LIVE Make the Shift Online Teaching Calls – Join me and other Choose Life Now members for weekly calls that focus on what you really need to make changes in your life that won’t be temporary . . . but instead develop a lifestyle filled with joy, excitement and health! It’s all a Christ-centered approach to marvelous living! Plus, all the calls are recorded! So if you can’t join the live call you can listen to the exact same teaching when it’s convenient for you! * Make the Shift 1.0 – You’ll receive the 10 recorded calls from the first time I presented Make the Shift to review at your convenience. This series was so popular then that it’s back by popular demand! So not only will you have the all new Make the Shift series, but you also have the archived version so you can learn even more! When you enroll you will receive the bonuses (only available until Saturday morning). PLUS, all the lessons, features, and benefits already part of Choose Life Now. Then, you will immediately be enrolled in our Make the Shift LIVE Online Teaching Series that has the Kick Off Call on Saturday July 7th. Remember, if you can’t make the live sessions the replays are all available so you can watch them later!